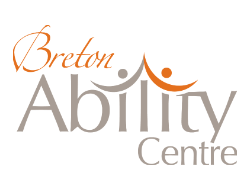 Breton Ability Centre is a dynamic organization that is committed to providing quality services and supports to people of varying disabilities. They serve individuals who are coping with complex challenges due to severe developmental disabilities, mental health challenges and/or complicating physical disabilities. They support individuals to learn and develop personal, social, vocational, and educational skills to enable their transition to other community living options and participate actively in their communities. Their professional staff supports individuals to reach their full potential.